Learn How to Paint an Impressionistic Monet Style Landscape in Acrylics! In the following oil painting lesson, artist Dennis Tyson shares his process for creating value studies in preperation for a landscape painting. 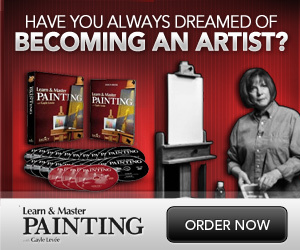 This is a great tutorial for anyone serious about learning the art of painting landscapes in oils. Enjoy! Visit Dennis’s YouTube channel here.